KYIV. Nov 26 (Interfax) – The Ukrainian National Security and Defense Council proposes in its resolution of November 26 that President Petro Poroshenko declare martial law for 60 days, until January 25, 2019. The Council resolved “to propose that the president of Ukraine declare martial law in Ukraine for 60 days, from 2:00 p.m. November 26, 2018 until 2:00 p.m. January 25, 2019,” the resolution, which is available on the presidential website, reads. 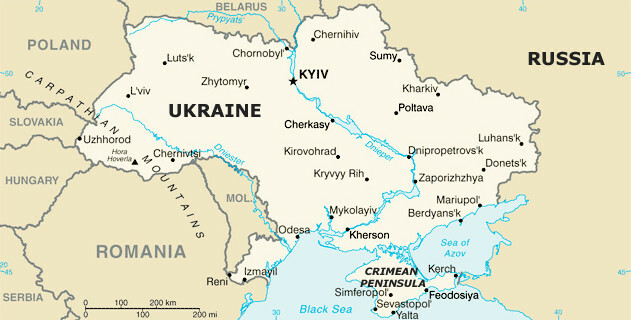 The National Security and Defense Council resolution attached to the executive order signed by the president stipulates the introduction of a special legal regime in Ukraine to provide preconditions to repel armed aggression, ensure Ukraine’s national security, and eliminate threats to its independence, sovereignty, and territorial integrity. The resolution says that Russia’s actions against Ukrainian naval vessels led to serious consequences, constituted an act of armed aggression, and shall qualify as an act of aggression as stipulated by Clauses ‘c’ and ‘d’ of Article 3 of UN General Assembly Resolution 3314 (XXIX) of December 14, 1974. The Foreign Ministry is also supposed to arrange the president’s and the foreign minister’s consultations with the leaders of allied and partner countries, the European Union, the UN, the OSCE, and other international organizations. “The Ukrainian Defense Ministry and the General Staff of the Ukrainian Armed Forces shall immediately update the Mobilization Plan of the Ukrainian Armed Forces in due course, particularly the number of first-phase reservists to be called up. The General Staff of the Ukrainian Armed Forces shall immediately submit proposals to the president of Ukraine on enacting documents on the employment of the Ukrainian Armed Forces and other military units; to organize Ukraine’s air defense with the purpose of covering important government facilities, industrial districts, administrative centers of the state, and troops (forces) from airstrikes,” it said. The General Staff of the Ukrainian Armed Forces has also been charged with submitting proposals on involving other military units and law enforcement agencies in enforcing legal regulations related to martial law and providing for partial mobilization measures and organizing and conducting training camps with a sufficient number of reservists from the tactical reserve. Ukrainian Interior Ministry and Security Service are supposed to take urgent measures to ensure public order, security and protection of critical infrastructure facilities and foreign diplomatic missions. The Security Service has been instructed to take urgent steps to intensify counterintelligence, antiterrorist, anti-sabotage, and information security measures. The Security Council, the administration of the Special Communications and Information Protection Service, and other entities responsible for maintaining cyber security have been instructed to take measures to ensure cyber security. The Border Service is supposed to enhance the protection of the border with Russia, including in the Crimean Peninsula area.